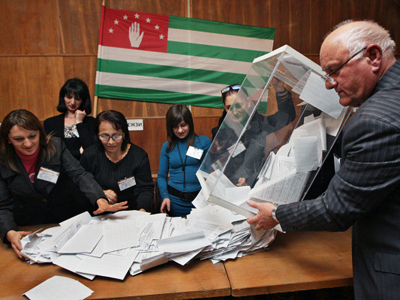 Preliminary results of presidential elections that took place Friday in the Caucasus republic of Abkhazia officially confirm Vice-President Aleksandr Ankvab has won, so there is no need for a runoff. 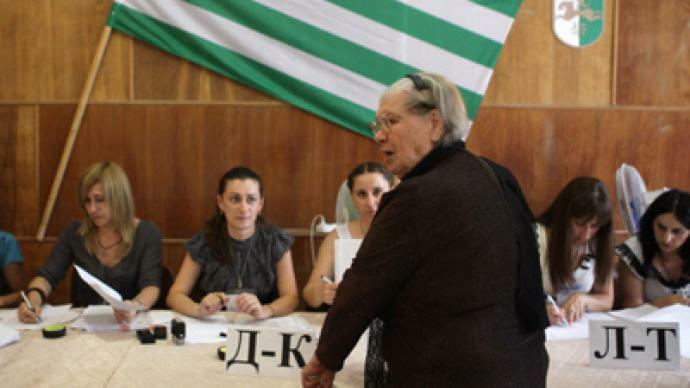 ­Aleksandr Ankvab got more than 54 per cent of votes in the presidential election, beating the challenge of two rivals, said Batal Tabagua, chairman of the Central Election Commission of the Republic of Abkhazia. 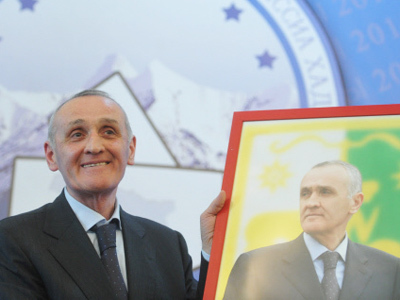 Ankvab was followed by Prime Minister Sergey Shamba, who received 21.04 per cent of the votes. Opposition leader Raul Khadjimba with 19.83 per cent of votes rounded out the list of three candidates. 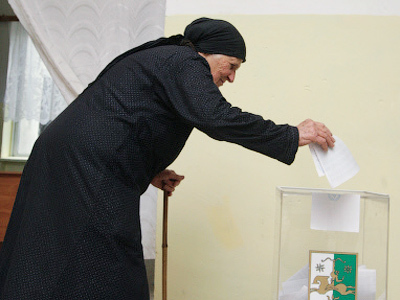 More than 70 per cent of eligible Abkhazian voters took part in the elections. “No violations of public order were detected during the elections,” said Tabagua. Russian President Dmitry Medvedev has called Aleksander Ankvab in order to congratulate him on his victory at the presidential elections. But the campaign was monitored by more than a hundred international observers from countries including France, Austria and Israel. “When I was invited, I have got a very quick reaction from Georgia, who said “Oh, no, do not go there,” Swiss parliamentarian Dominic Baetig confessed to RT. “But my ideals are sovereignty, independence, and I can exactly support what the people are doing here in Abkhazia – fighting for their sovereignty, autonomy, independence, democracy,” he added. “These elections have been very well-planned, and have been operated at the highest level,” admitted Ben Van Der Sande, a Special Adviser at the Consulate General of Nauru. The early election was triggered by the sudden death of President Sergey Bagapsh in May after he underwent cancer treatment. There is much at stake for Abkhazia's new leader as the republic needs to rebuild following its long fight for independence from Georgia. 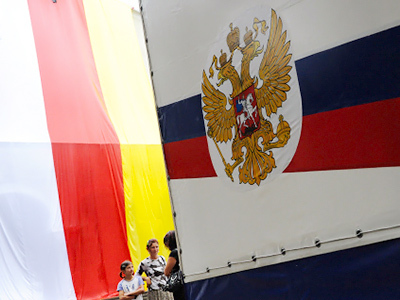 Keeping good ties with Russia and restoring the economy will be top of Ankvab's agenda. “We have to admit it, and that's true: we see certain growth, but that's not enough. 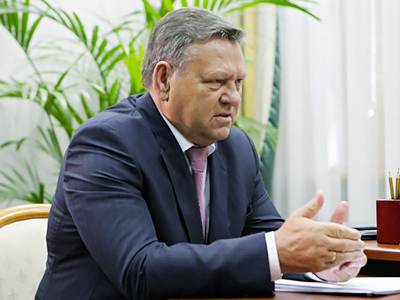 We need loans and serious investments,” the Abkhazian President Elect told RT. 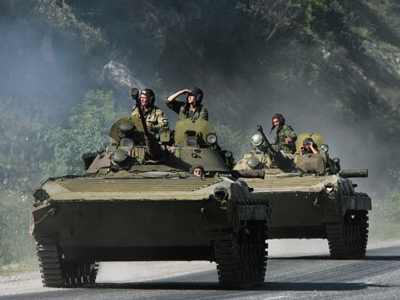 Russia recognized the country's sovereignty in 2008, amid fears violence could break out in Abkhazia after Tbilisi's attack on South Ossetia, a nearby Caucasus republic also regarded by Georgia as part of its territory. Watch more in the report by RT's Denis Bolotsky.